Update: Nadim’s Delights is now permanently closed. 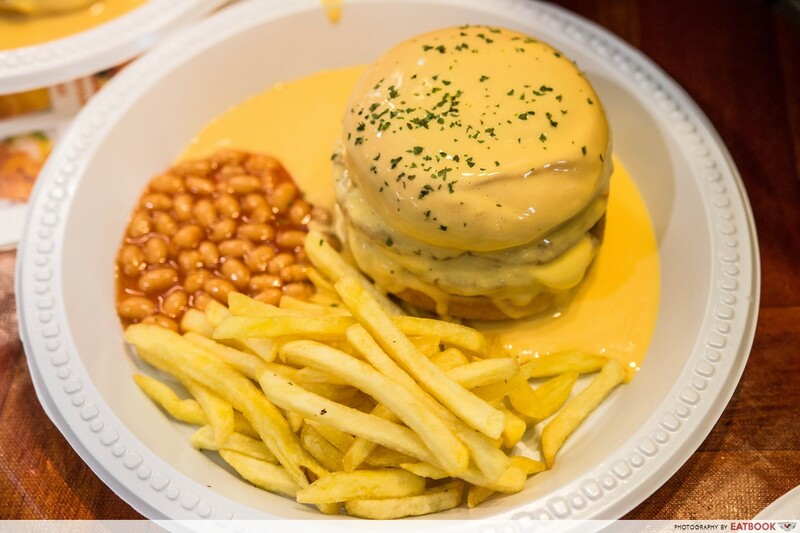 When cheese first exploded in Singapore as a viral food trend, it was cheese fries, then cheese pizza, and a whole lot of other something-with-cheese. It’s a competitive category gone deliciously wild with cheese fondue steamboat and cheese crab beehoon. My level of excitement was high and the FOMO was real after seeing photos of a double-patty burger dunked in cheese sauce and drowned in more. 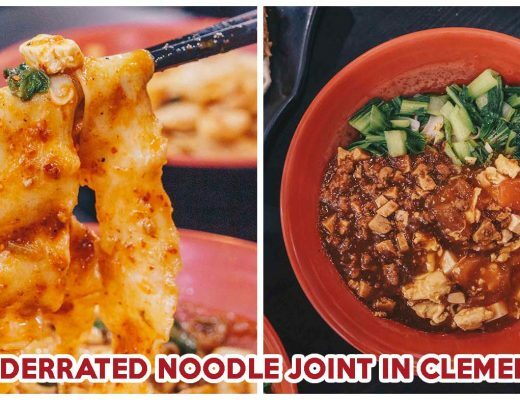 Azya’s Restaurant is a kopitiam in the Jurong West neighbourhood and it’s abuzz with talks on the latest item from its Western stall, Nadim’s Delights, which just opened in November. Burger Banjir ($7.50), which translates to “flooded burger” in Malay, was easily the most popular order in the kopitiam. 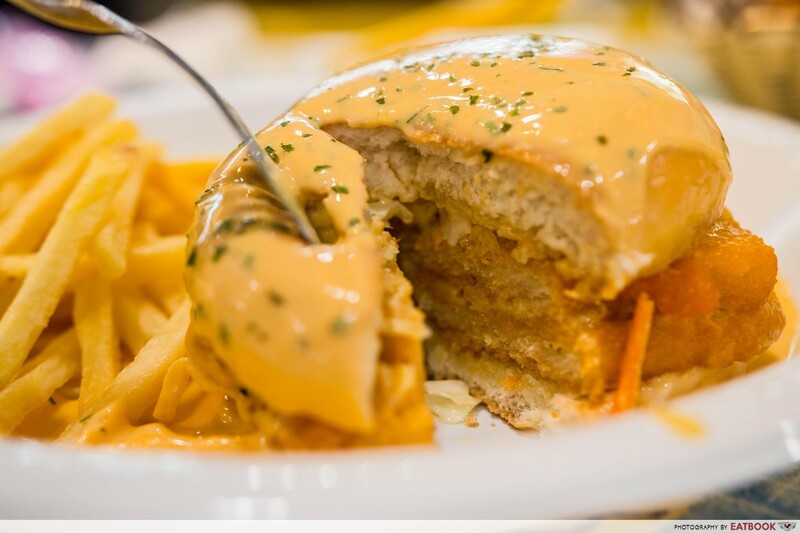 A halved four-inch hamburger bun sandwiched coleslaw, two fish patties, and a slice of cheese, before being dunked in nacho cheese. Assembled with a side of fries and baked beans, more yellow sauce was poured over, flooding the disposable plate it sat in. With a final sprinkling of parsley, our set was as cantik (pretty) as photos I’d seen of it and everyone’s order looked just as consistent. I cut out a good chunk of my burger and it didn’t fall apart as I took a curious bite. The savoury nacho cheese was neither too rich nor too runny and I polished my plate just as most customers there did. The buns and Ramly-style breaded fish patties were soft but not mushy, and their simple flavours easily combined with the yellow sauce which didn’t completely overwhelm the fish. Its double-patty centre made the stack feel substantial and the cheese slice between them was a plus. Crunching on the layer of coleslaw lightened the jelak feeling enough for me to finish it. If fish is not your thing, a chicken version is also available. Their sides were run-of-the-mill at best but I alternated my burger bites with fries I spammed with mayo from their condiments rack. 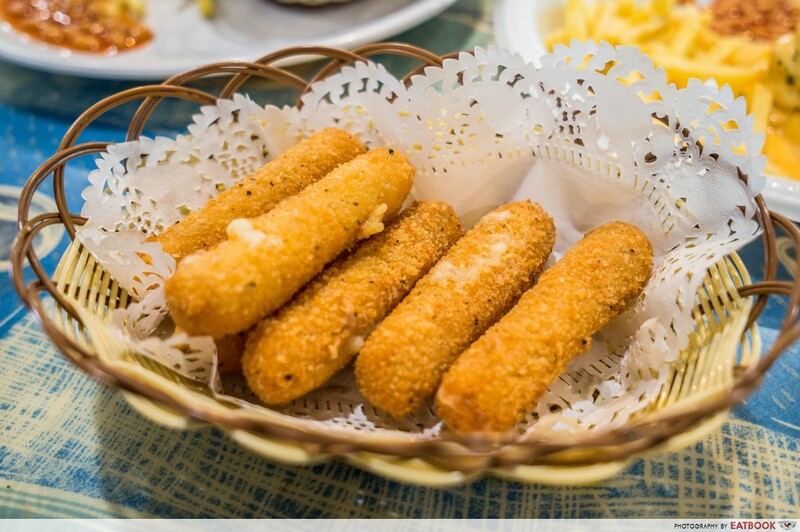 No way were we leaving without a go at their Cheese Sticks ($4) and we were served a basket of six. If you’ve chomped straight down on a cheese stick, I’m telling you, that’s a waste of their stringy cores. Hold both ends and pull it till it snaps before popping in half and then the other. The crisp breading of this one was thick and solid while tasting like it needed more seasoning. The cheese didn’t ooze or fill the stick but for its price, I wasn’t expecting more. 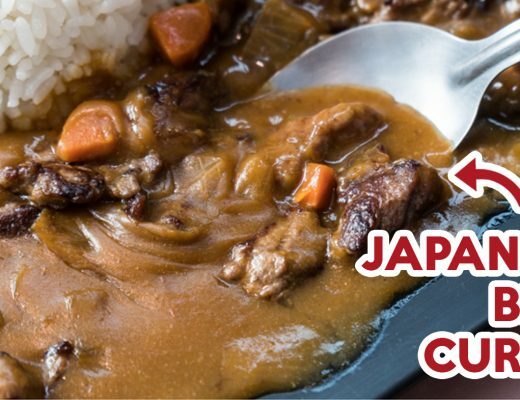 Since it was quite bland, I’d pass on this in the future. 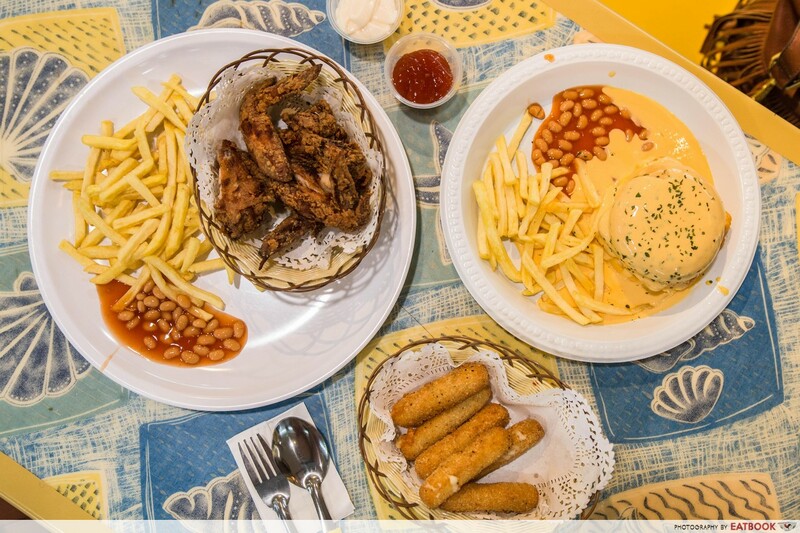 From their regular menu, Chicken Chop ($7.50) and Fish & Chips ($7.50) are recommended. But Nadim’s Delights was so overwhelmed by Burger Banjir orders they could only cater for mains with their remaining pre-fried spring chicken and wings. 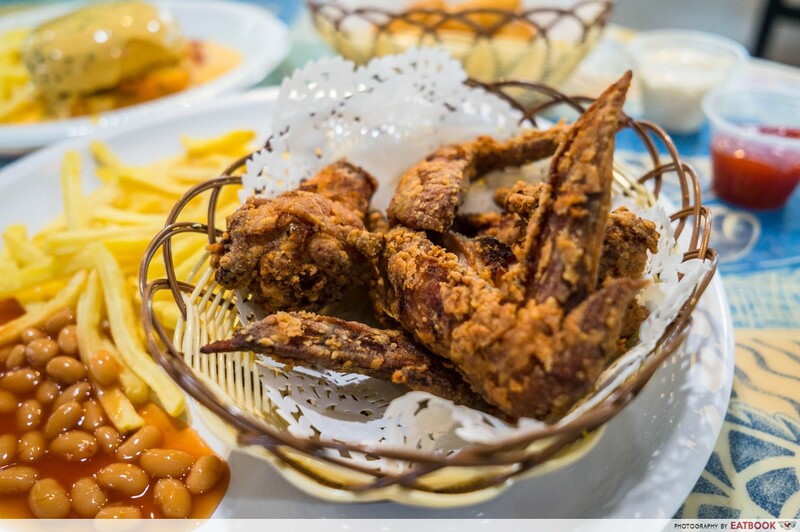 Their Chicken Wings Set ($6.50) had fries and baked beans with three wings coated in crunchy seasoned batter served on a plastic plate. They were on the small side and felt greasy without being too heavy. The meat was cooked well-done till the skin was a dark shade of brown and it didn’t taste of much chicken. The wings weren’t dry but I’d still prefer them more tender for some juiciness. This kopitiam was more humid than others in the vicinity because of poorer ventilation but the drinks stall cooled me off with a towering Oreo milkshake the height of two bubble tea straws joined together. 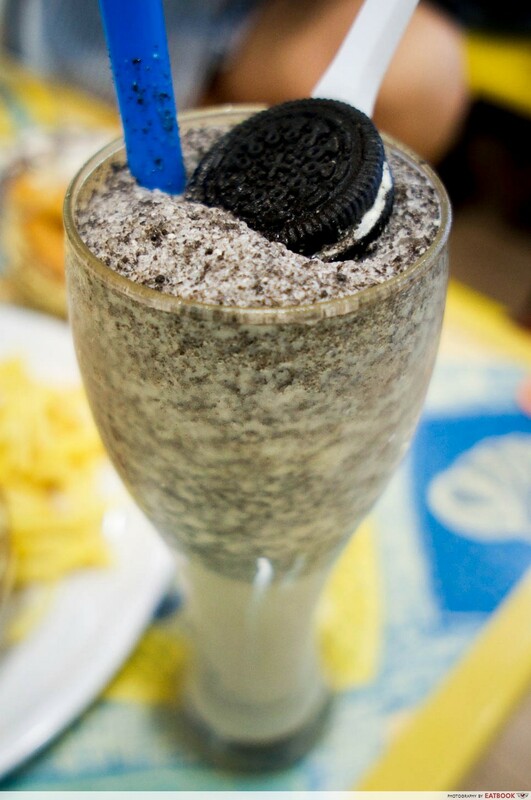 Blended ice and crushed Oreo floated to the top while sweetness concentrated at the bottom. I drank from bottom then top until I had enough gulpable pleasure before stirring the drink well. 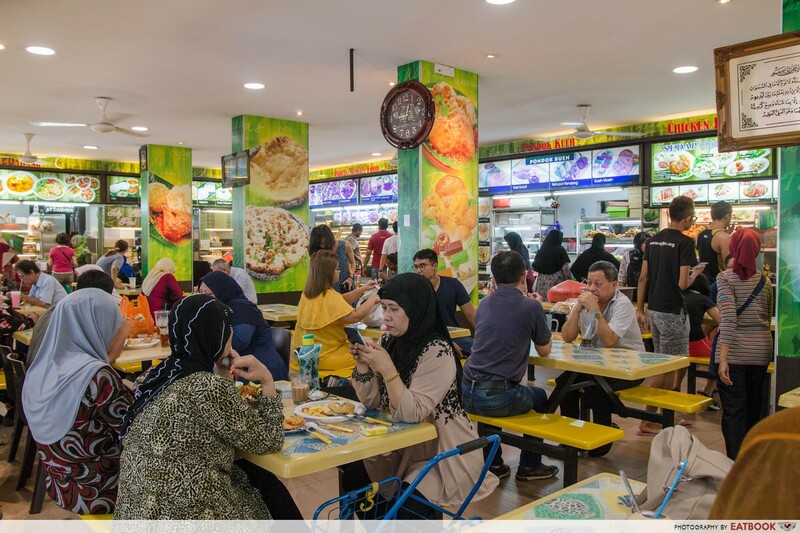 Nadim’s Delights is two bus stops away from Lakeside MRT Station. 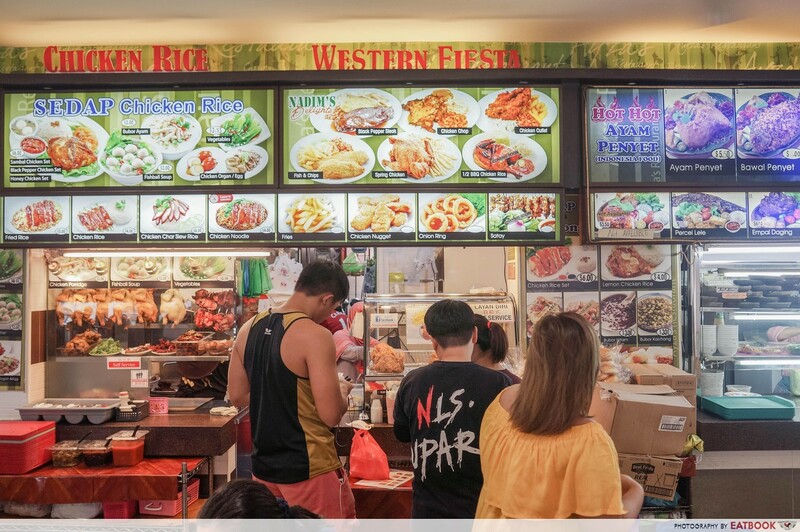 It’s a Western stall in Azya’s Restaurant which is one of the neighbourhood kopitiams near Jurong West 505 Market & Food Centre. Although the stall opens at noon, we were advised to come later because they said they only start selling Burger Banjir from 1pm onwards. However, we saw a number of customers tucking into theirs when we reached at half past noon, so we went ahead with ordering. It was about 30 minutes of queuing and waiting before our orders were ready. 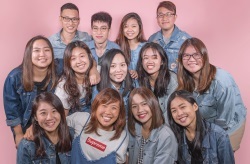 Although their operating hours are from 12pm to 10pm, they recently have been closing between 3pm to 5pm to restock. The crowd was sparse when we showed up, without a visible queue, until we realised people were waiting for their names to be called to collect their orders. The place filled out by 1pm and teens joined the queue in groups along with curious customers from the neighbourhood. The burger that inspired our journey to Jurong seems like a divisive one. We liked it and the other customers clearly did with their emptied plates, but I have friends who also found it too jelak. Definitely don’t come comparing it to a cafe or dissect the textures and taste of the buns and meat. I came with the excitement of not knowing what to expect and enjoyed what I received. It’s a cheesy burger I’d eat again if I was in the area for something different from the banal. But a journey to the far West would need a lot more, such as better quality ingredients, to distract me from cafes. Then again, the FOMO would still hang over me and if you feel the weight of it, I suggest you make your way down. 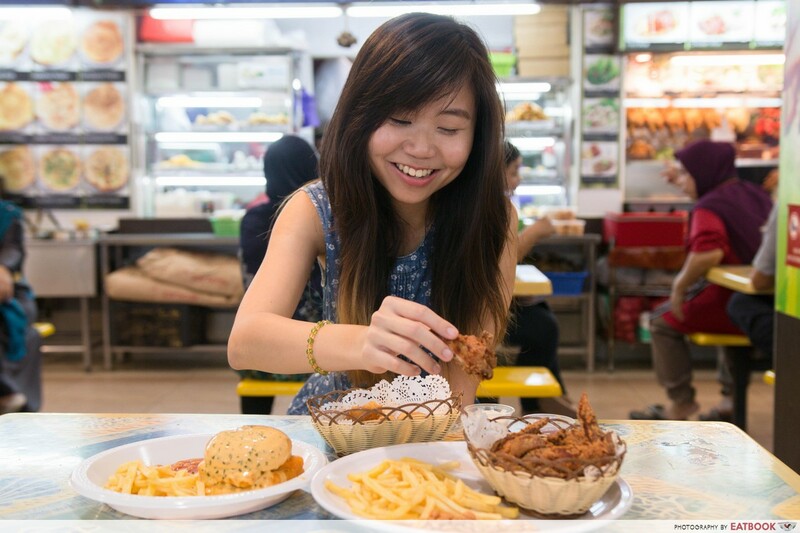 For more food in Jurong West, check out these cheap Jurong food or Jurong West Hawker Centre! Nadim’s Delight is a Muslim-owned stall.